‘The Oldest Profession’ is not what you may have heard, and it’s not a profession, yet! Surely the oldest profession goes all the way back to the Serpent, Eve and Adam. 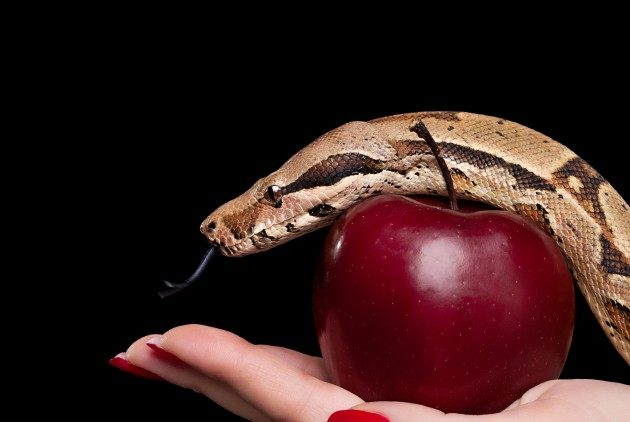 The Serpent sold the apple to Eve and she then on-sold it to Adam. Regardless of your faith, I think we can all agree that ‘selling’ has been core to human interaction and growth from the day dot. However, it may be the oldest vocation or job, but it cannot claim to be the oldest profession because it is not a ‘profession’. Why? Well try and find a comprehensive tertiary curriculum that combines the teachings from the three faculties that are required to create ‘Professional Business Development & Salespeople’ for the business world? There isn’t such a course. Let’s look at why? The first reason is the solution required three faculties. The first of these faculties is obvious, its Commerce. However, the other two are not as obvious. They are Medicine and Performing Arts. Yes, Medicine and Arts. Medicine is for Psychology and Performing Arts for Acting. These are the three proven skillsets any Sales or Business Development ‘Professional’ needs in balance; Commerce, Psychology and Acting. However, you would be challenged to find anyone out there who would have gone to the trouble of combining these three tertiary pre or post-grad curriculums to become a ‘Sales Professional’. In all my searching across Universities in Australia and beyond, I have not found this combination to create professional Sales and Business Development graduates. Indeed, I have not found a University tertiary education course at all for Sales and Bussiness Development students, except for some commercial arrangements with ‘old school’ Sales Trainers that I don’t believe are changing the status quo at all. So, sales cannot be labelled a profession; it is a role – a role that salespeople will all tell you they “fell into”. Yep, Sales and Business Development is an incidental career, yet in B2B it is the business’ most critical engine room that can define success, dictate failure, or deliver just OK.
Now here is the most disturbing aspect of this problem. Unlike law, accounting, medicine, economics, marketing, engineering, architecture, teaching, et al., where robust protocols of tutelage and practice are core to the certification and onboarding of graduates into the profession, business allows its unskilled sales and business development force to practice on the customer! And we have been doing it this way for years. It’s madness, and it does not set the salespeople or the business up for success. It is a hit or miss strategy that creates plenty of collateral damage. Just think for a second; what if airline pilots, accountants or doctors worked the same way – they fell into the career and then just practised on their customers? I think I have made my point. So what can we do about this? At The McGinn Partnership, we are engaging Australian Universities to address the need here. It will take time to get the three Deans from the three Faculties around one table for a united purpose, and then more time to construct the curriculum and then scale it. But it must be done, and we are determined to get it done. We want professional sales and business development graduates for the future. While we wait for the long-term fix, The McGinn Partnership is working with CEOs to reconstruct their sales and business development organisation to align capabilities and performance to the CEO’s ambition for the business. We achieve this by installing a proven and customised Performance Protocol that encompasses the balance of commerce, psychology and acting, backed up with consistent Performance Reinforcement over 12 months to ensure real transformation. It’s not Sales Training, which is mostly commissioned by sales management to deliver ephemeral performance patches for their teams. 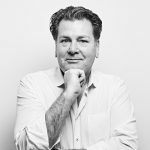 What The McGinn Partnership is providing has been crafted over three decades through the CEO lense, working with the imperfections and capability performance gap of Sales and Business Development teams, across three industries in over 25 countries. In recent years, there has been considerable change and advancement in sales platforms and technical tools, from CRMs to pipeline management. However, business has failed to put the same level of investment and effort into the real potential game-changers – the people. Let’s start now and be the change!